The sequence of activities and the amount of effort expended for each activity in structured systems design differs depending on some of the decisions made earlier in the systems development process. 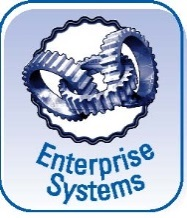 For example, if the organization has chosen to install an enterprise system, the design steps will include reengineering of the business processes and specification of how the enterprise system will be configured to match those processes. If the organization has chosen to develop the software in-house, the structured systems design step includes design of the software that will be written during the implementation step.